Former Greek Prime Minister, George Papandreou, and other renowned global actors join the Jury of GLOBAL+5 for the first ever festival of global governance. The Global Journal is proud to announce the launching of GLOBAL+5, the first ever festival of global governance to be held from 9-10 October at the Four Seasons Hôtel des Bergues, in Geneva. GLOBAL+5 is a unique and exciting opportunity to identify and award innovative and visionary projects, addressing some of the most pressing global challenges the world will be facing in the next five years. The platform is a powerful force for individuals, groups and organizations from the public, private and non-profit sectors to exchange their ideas and catalyze positive change. Twenty projects out of 75 selected projects have made the final-cut for the competition. The Global Journal has asked the Jury to focus on the potential impact of each project over the next 5 years (+5), the ability to empower and engage citizens, and the innovation that will drive enthusiasm and support for stakeholders. Our next Press Release will be dedicated to the projects in more detail. The Jury consists of leading global actors from a wide variety of backgrounds. 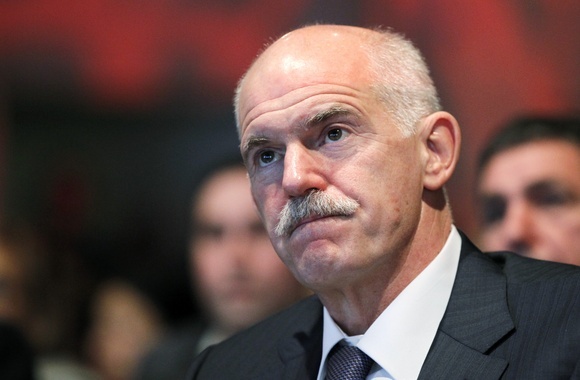 The former Greek Prime Minister, George Papandreou, will be the keynote speaker at the awards ceremony. The specially selected Jury will convene to assess projects and discuss them with representatives in Geneva on 9 October, while the final results will be announced at a concluding press conference on 10 October.